Attractive woody, evergreen climber with rich, dark green leaves, turning bronze in winter. 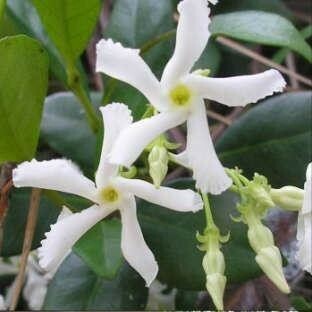 Large clusters of highly fragrant, pure white flowers are produced from mid to late summer. It is best grown in a warm sunny aspect. Supplied as chunky strong plants, flowering in season, in approx 2-3 litre containers.